Seeing helps understanding. 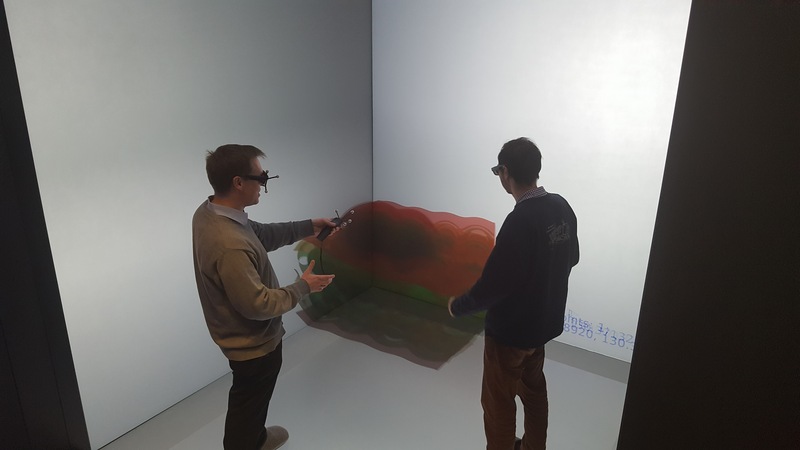 We have developed a browser-based remote-visualisation service and several virtual-reality applications to enable interactive data exploration, training and dissemination. Users of the NOMAD Laboratory need ways to interactively visualize the data they are interested in. Both, comprehensive data sets from electronic structure calculations, as well as data from the data analytics platform are typically too massive to be transferred to the user's computer and their analysis and visualization requires high-end hardware and special software. To this end, the NOMAD Laboratory CoE has developed a browser-based remote-visualization service (RVS) that enables users to interactively perform visual data analysis tasks on their devices (PC, laptop, tablet, ...) without the need for operating specialized hardware or software. A remote-visualization session is started by clicking the corresponding symbol ( ) in the NOMAD Encyclopedia, e.g. in the column named 'RV' for a list of calculations. 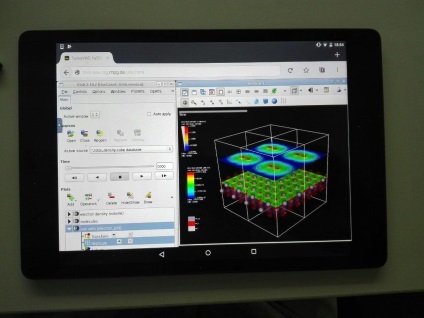 The user interacts via web browser with a remote desktop which operates within the NOMAD HPC infrastructure and has access to the selected data set. The service enables the user to transparently apply visualization tools like VisIt, ParaView, VMD with full flexibility, as if data and tools were installed locally on the user's device. Moreover, the RVS provides Blender as a tool to create various multimedia formats for education and dissemination, as demonstrated by this video depicting the interaction of CO2 with a CaO surface (a comprehensive user guide provides a step-by-step tutorial how such a video is developed). 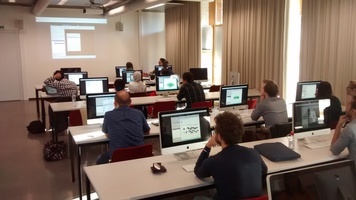 Early versions of the NOMAD RVS have been used for running tutorials on molecular visualization at the international schools NOMAD Summer 2017 and NOMAD Summer 2018. The technical solution for the RVS is fairly generic and has been described in detail in our public deliverable D3.3. It is based on docker containers (to isolate the sessions of individual users), Kubernetes (as a container manager), noVNC (to enable web-based access to the TurboVNC backend server) and GPU-accelerated rendering or optionally software rendering (using OSMesa). While VR has recently become a hot topic, it's been used in research settings very effectively for almost 30 years. 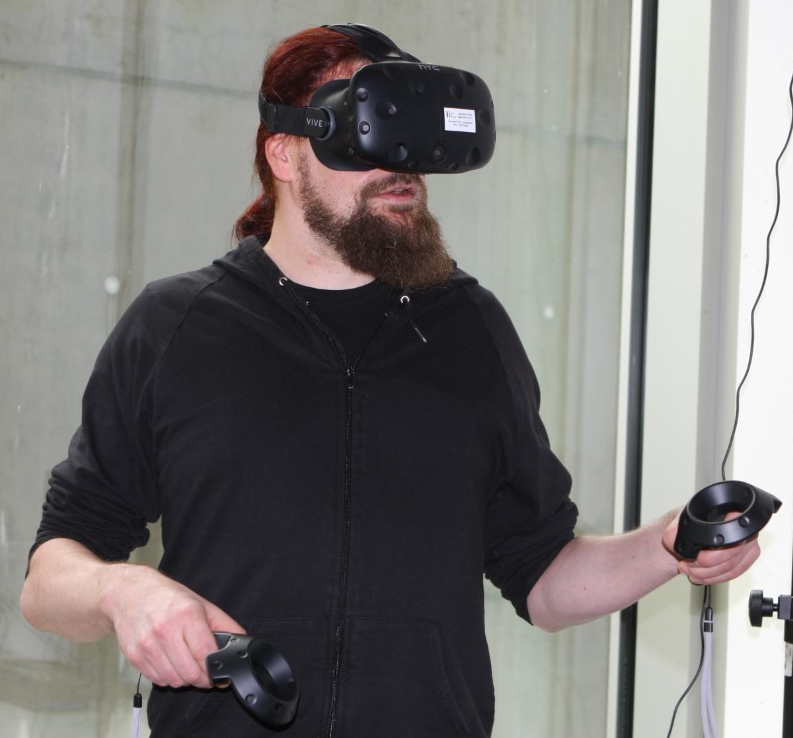 VR technology aims to immerse users in the dataset they want to analyze. With the help of real-time interactive stereoscopic graphics, the represented structures of virtual objects and datasets become easily visible and accessible for the human eye. NOMAD is supporting researchers with a variety of VR installations, ranging from a traditional flat powerwall displays, which are ideal for discussion and presentation of datasets, to a 5-sided projection installation, which is a semi-immersive device and surrounds users with 3D content for analysis. 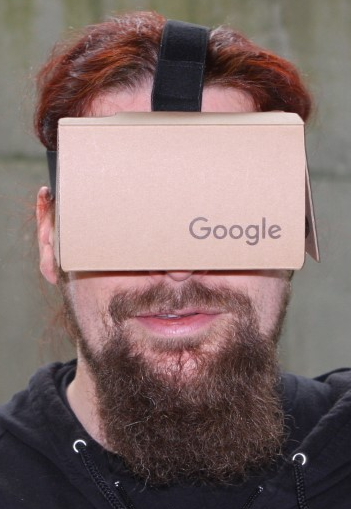 Mobile systems like Google Cardboard, HTC Vive and Samsung GearVR are supported as well and allow researchers to take an immersive look at their data and present it to others. You can check out demos of our virtual reality tools here! VR is also being used by the NOMAD team to support public outreach, at events like the Long Night of Sciences. Have a look at out VR videos here.